Better get your anti-venom ready! 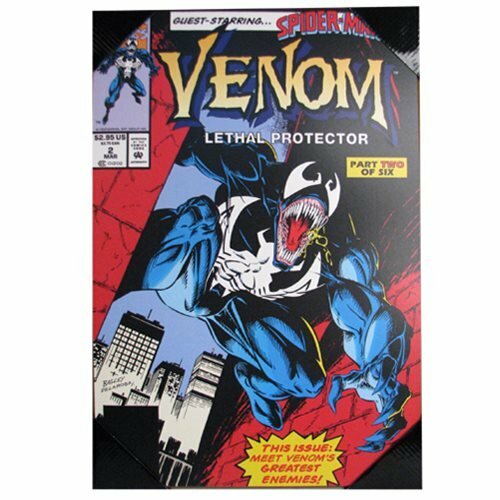 With amazing full-color comic book artwork, this Spider-Man Venom Lethal Protector Wood Wall Art measures approximately 19-inches tall x 13-inches wide. It features a sawtooth metal hanger on the back and comes ready to hang.